The Learning Adventure’s service projects are designed longitudinally. We encourage students to get in touch with our team as early on as possible to work on understanding all aspects of the service project before they arrive. Our goal is to orient, advise and encourage students to take ownership of their service projects and work towards sustainable solutions to real-world problems. This featured itinerary is based in rural Sichuan on the Tibetan Plateau. Students will enjoy the pristine environment as well as a genuine chance to interact and live amongst the Tibetan people. Our school trips are completely customizable and can be tailored to meet your requirements. Additional destinations are available for this theme including Guizhou, Xian, Suzhou, Chengdu, Fujian and Yangshuo. Speak to a specialist now to find out more. Meet your leaders and transfer to Chengdu city. Teachers and students will be briefed on health & safety and the trip plan on the bus. We head to one of Chengdu’s busiest food and art districts, Jin li Street, to take in some ancient Chinese charm. Try The Learning Adventure’s (optional) Jinli street scavenger hunt. Finish off the day with a Chengdu must-try, a Hot Pot feast. Begin a four-hour transfer to Mt. Siguniang (a series of four separate peaks), the highest point of which is 6250 meters above sea level. We check into our accommodation and, after lunch, set off for a four-hour hike on an ascending and descending trail. Students hike to a maximum height of 3800 meters above sea level. Upon returning, after a rest and some dinner, students will enjoy a campfire under the surreal starry night sky. We set off early to complete our journey to our service site. Upon arrival, students first meet with their host family; the owners of the guesthouse that we use for the duration of our project. We kick off our time here with a traditional Tibetan lunch in this beautiful village. After lunch, students will gather for an orientation session about the service project as well as a safety briefing for the specific project they will be doing. Students will go on a walking tour of the area, visiting the holy mountain shrine and the center that will be our base camp for the week. Projects span architectural restoration (water grain-mills, traditional houses, traditional stone trails), artistic research (creating traditional Tibetan dyes from scratch, learning embroidery), anthropological field studies (recording and translating oral traditions, filming and understanding traditional rites of passage), as well as historical inquiry (examining and analyzing century-old watchtowers). • Begin the service project: Students will most likely be assigned to different small groups doing separate tasks (please note, not everybody will get to do the same task, depending on availability and individual skill). • Afternoon: Continue service project. • Evening: Join the host families and local villagers as they share oral traditions in their native language – Tibetan (translation provided) around a bonfire. 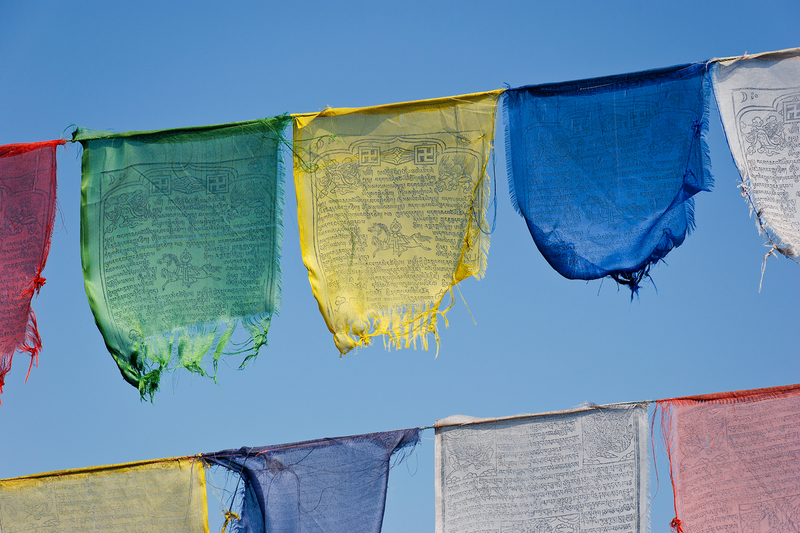 Evening: Learn traditional Tibetan embroidery from an expert Tibetan embroiderer in the village. 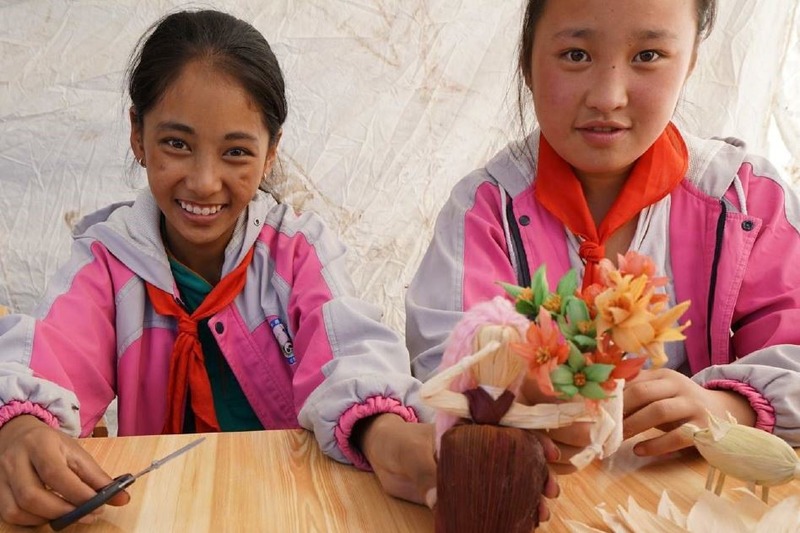 Stop by at a local school for a tour and introduction to student life in this Tibetan village. 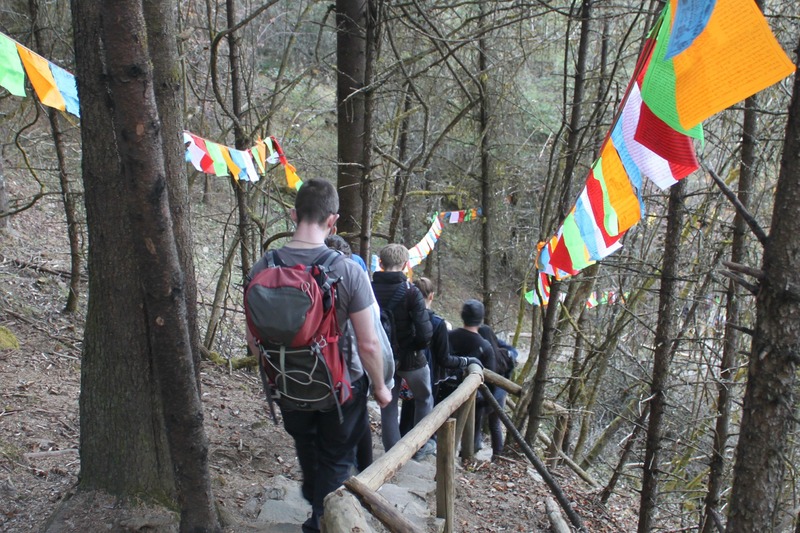 Later, head through the forest to a Tibetan White Stupa to learn about Tibetan Buddhism. Make sure to make a wish at the temple! • Afternoon: Continue with service project. Evening: Join the locals as they make handicrafts and learn from them. • Afternoon: Participate in a very special coming-of-age-ceremony to celebrate the completion of the service project. • Evening: Reflection evening. Students and teachers share what they have learned from the water mill project or impressive story of these few volunteering days. Transfer back to Chengdu (350km, 7hours drive) Airport. Appreciate the physical challenge necessary in reconstruction projects. Understand what applied sustainability is and partake in an ethically sound project. Delve into the details of project planning and how to wed thought to action.